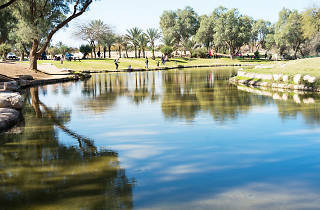 An oasis of palm trees, grassland, and springs in the otherwise hot and sandy Western Negev. 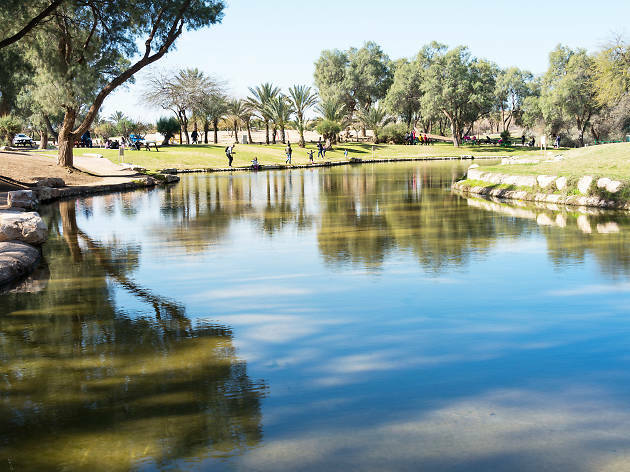 In the Western Negev, where sand dunes extend as far as the eye can see and scorching heat is the daily norm, lies Eshkol National Park - a true oasis in the desert. With palm trees that dot the banks of the Besor Spring, and vast grassland that offer picnic and camping areas, the national park is a destination fit for a day-long or overnight adventure. In addition to its natural beauty, the park is home to events such as the International Hot Air Balloon Festival and annual bike rides.